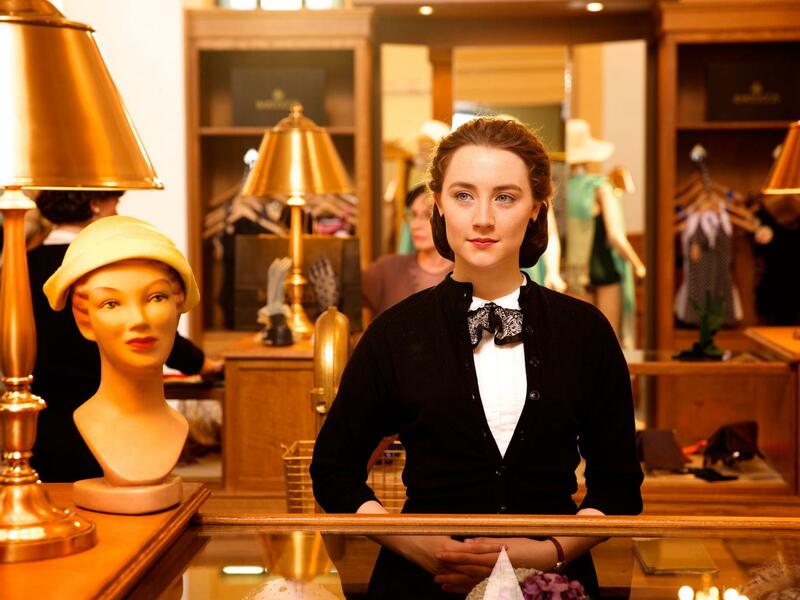 A coming of age cross-continental romance, Brooklyn is a small film with a large scope. The story of a young Irish immigrant woman creating a new life in the United States is filled with overtones of the future clashing with the past, the new world contrasting with the old, and how one individual story carves out a new nation. It's the early 1950s in the Irish village of Enniscorthy. Eilis Lacey (Saoirse Ronan), a young woman with few economic prospects, has made the decision to immigrate to the US and settle in Brooklyn, with arrangements made by the kindly Father Flood (Jim Broadbent). Eilis leaves behind her mother (Jane Brennan) and sister Rose (Fiona Glascott), as well as her suffocating job at the local store run by the intolerable Miss Kelly (Bríd Brennan). Eilis has to endure a bout of sea sickness in the trip across the Atlantic, and even after she settles into a rooming house run by Madge Kehoe (Julie Walters) and a job as a department store salesperson, she still suffers through a period of severe home sickness. Father Flood enrolls Eilis in bookkeeping night classes, and her prospects take another turn for the better when she meets handsome plumber Tony Fiorello (Emory Cohen), and they gradually start a romance. Eilis starts to feel settled into her new life, but Ireland comes calling again, and she will find herself torn between her country of origin and her chosen a new life. 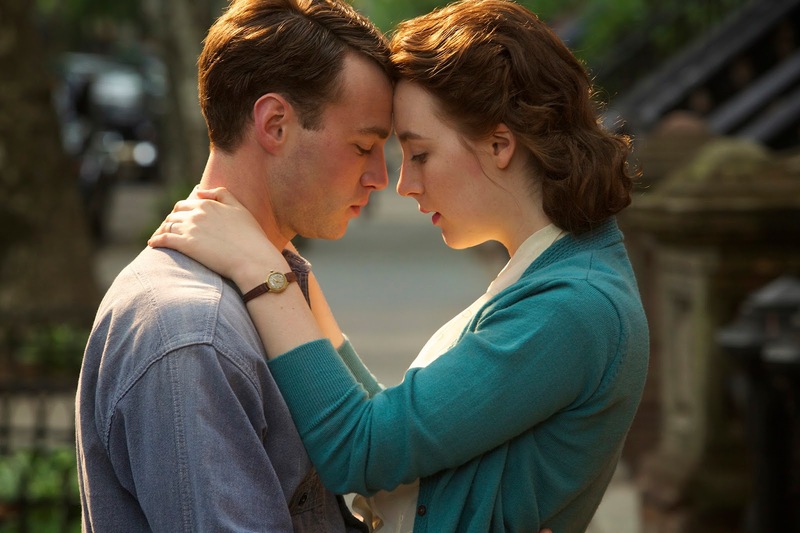 An Irish - British - Canadian co-production directed by John Cowley and based on Colm Tóibín's novel, Brooklyn is a deceptively simple film. Through the story of one woman taking the courageous step to alter the trajectory of her life, Crowley and screenwriter Nick Hornby explore the universal dilemma of immigrants though the ages, the promise of economic opportunity competing with nostalgia in an eternal struggle to define home. The film is smart, funny and poignant, combining romance with heartache and societal tensions as Eilis grows from girl to woman and has to define her future. Brooklyn unfolds in the welcome absence of any histrionics. Crowley maintains a steady emotional tone of self-reflection and exploration well within the range of normal life. Whether Eilis is achingly home sick or giddily falling in love, her behaviour is always within the familiar reach of a typical young woman tackling the challenge of growing up in a new world. The humour is subdued, and emerges mostly around Madge Kehoe's dinner table where Eilis engages with her cohorts, other Irish young women with distinctive personalities but similar challenges. During their courtship Tony labels Eilis as "amenable" (she helps him find the right word), and she is presented as a quiet, thoughtful and self-aware woman who is nevertheless open to what life has to offer. In the film's final third Eilis journeys back to Enniscorthy, and keeps a secret that is essential to the story's structure of weighing the familiar against the contemporary. While somewhat in keeping with Eilis' character, her behaviour back in Ireland does stretch the bounds of expectation, although it serves the metaphorical objective of highlighting nostalgia's enormous power. 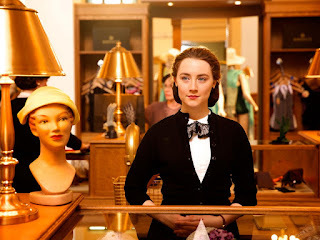 Brooklyn looks magnificent, the title borough recreated as a bustling 1950s immigrant haven, and small town Ireland hiding both charm and the social perils bought upon by insularity. 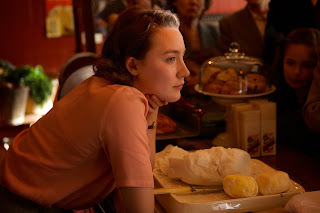 Saoirse Ronan, all of 21 years old, owns the film as Eilis, and creates a contemplative and still evolving main character. Ronan allows Eilis to grapple with tugs of the heart and the vulnerabilities of a young mind torn in different directions, and often acts most effectively with silent pauses and lingering looks, revealing Eilis' pragmatism to never be far from the surface. Inspired by the powers that shape journeys across oceans, Brooklyn is a rare film that remains intimate, wistful and personal, while carrying the echoes of a universal story about falling in love with people and places new and old.